The golden snitch is the small flying ball featured in the the game of Quidditch. It is Harry Potter's job as the seeker to catch the golden snitch and win the game. 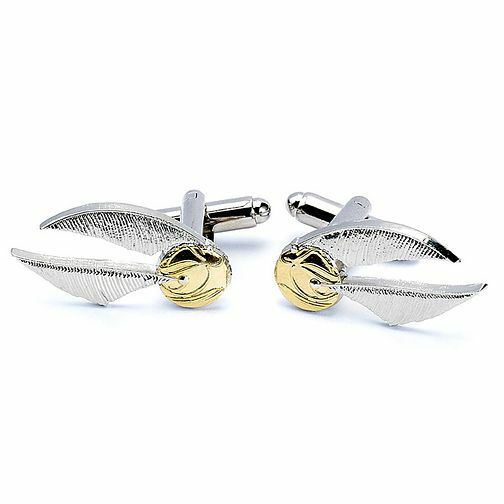 These cufflinks are gold and silver plated, and each cufflink is approx 3cm in length. This pair come presented in a branded Harry Potter gift box.